Each of the predominant health care consulting firms — Aon, Mercer and Willis Towers Watson — has its own prescription drug coalition made up of employers. The conventional wisdom is firms use the combined scale to negotiate lower drug prices with large pharmacy benefit managers, but there's no hard evidence the coalitions provide meaningful savings. What we're hearing: "The contracts are basically no different from what an individual company can get from a PBM, which means that all the individual company is doing is adding a layer of additional fees from the coalition," said Linda Cahn, an independent consultant who has reviewed coalition PBM contracts. The details: The drug coalitions at Aon, Mercer and Willis Towers Watson include hundreds of companies and cover millions of workers. Employers don't have to enter one of the purchasing groups. 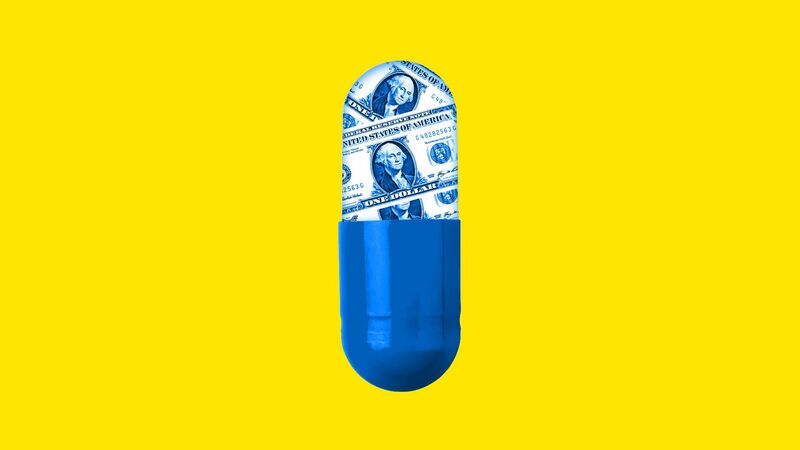 But if they do, they may have to pay an additional fee and then contract with one of the three major PBMs — CVS Caremark, Express Scripts or OptumRx. Drug benefits leaders at Mercer and Willis Towers Watson said the coalitions spawned from employer demand, believing a bigger group could yield bigger drug savings. Those firms said they do not receive any direct or indirect compensation from PBMs to be exclusive vendors. What we don't know: Whether the coalitions lead to the best rates for drugs, and whether employers could get better deals if they had negotiated outside of the coalitions. Willis Towers Watson says its drug purchasing organization allows employers to "save 25% or more than their current contract," but there's no context behind that number. Benefits experts say employers often have no idea if the savings are true. "Most of these PBM coalitions that are sponsored by consulting brokerages are just crap," said a source who has worked on pharmacy benefits for more than 20 years and has audited coalition contracts. "They never validate" how they save money, said the person, who asked not to be named to protect relationships. CVS said in a statement that coalitions offer employers "better pricing and contract terms" than they would get on their own, but did not elaborate. Express Scripts said in a statement employers are able to audit contracts. OptumRx did not respond. That's not all: Consulting firms often consider their own coalitions when they are running the bidding process for employers. Carmelina Rivera, a pharmacy consultant at Willis Towers Watson, said the firm keeps its financial and coalition people "independent from influences." But critics say it's a bad look. Cahn manages her own employer drug coalition. However, Cahn said she will not include her coalition's bid if she's in charge of the employer's bidding process. "It's a ridiculous conflict of interest for a consulting firm to evaluate its own coalition's competitiveness," she said.